Welcome back. Toward the end of my 20 years in government, a colleague from one of the National Labs tried to challenge me with the problem of cleaning up space debris. The debris resulting from China’s anti-satellite missile test in 2007 was getting peoples’ attention. To be clear, space debris was not a new concern. 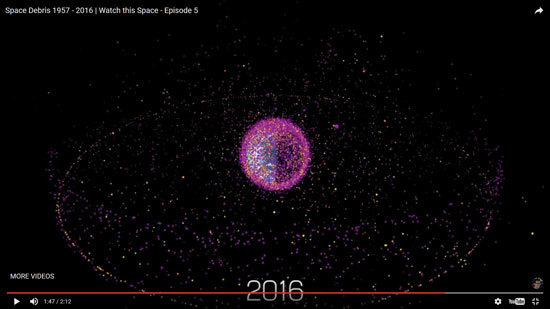 The Department of Defense had been tracking space objects since the Soviet Union’s first Sputnik in 1957, NASA’s Donald Kessler had warned in 1978 that the density of debris circling Earth could eventually prevent space activity in certain orbital ranges for generations, and the European Space Agency (ESA) organized the 1st European Conference on Space Debris in 1993. As my colleague and I ran through some of the more obvious approaches, it didn’t take long for me to learn that what would work on Earth would fail in space. Fortunately, over the years, many individuals and groups--government, industry, academia--have studied the problem in depth and offered viable concepts, as exemplified during the recent 7th European Conference on Space Debris. For example, a consortium of European companies has developed the RemoveDebris spacecraft, which is undergoing NASA safety reviews for launch from the International Space Station, to test a net, harpoon and drag sail for deorbiting cubesats. The Japan Aerospace Exploration Agency (JAXA) has been experimenting with electrodynamic tethers to generate magnetic drag to deorbit spent rocket stages. ESA is planning a mission, e.Deorbit, to launch a spacecraft in 2023 that would use either a net or robotic arm with a gripper to capture and deorbit a large inoperable satellite, which may be tumbling in low Earth orbit. 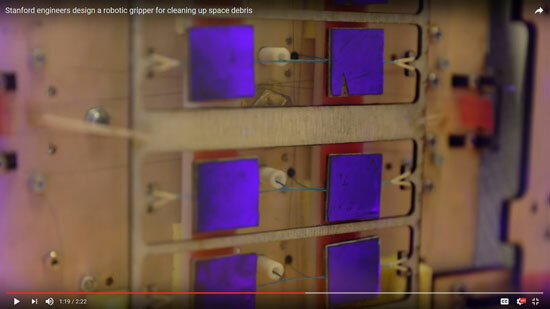 And when it comes to robotic gripping devices for removing space debris, researchers from Stanford University, with support from NASA’s Jet Propulsion Lab (JPL), have made great progress with a little help from geckos. When I was still in government, a number of investigators around the country were studying and biomimicking geckos to improve climbing robots. Gecko with its gripping feet. 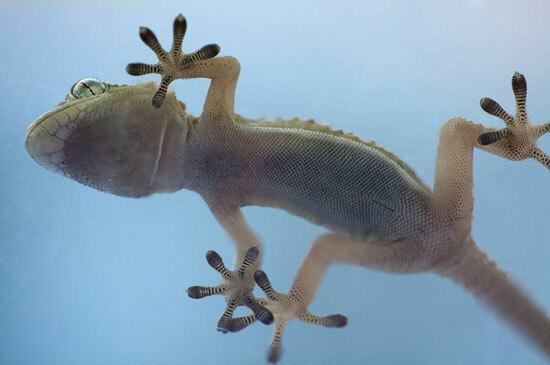 Geckos can stick to walls and ceilings because their feet have microscopic flaps that, when in full contact with a surface, create weak, electrostatic, van der Waals forces. The Stanford gripper uses gecko-inspired dry adhesives. Though the flaps of the gripper’s adhesive are not as extensive as those of a gecko, they function the same. They stick only if the flaps are pushed in a specific direction and need only a light push. The robotic gripper has adhesives that are selectively turned on and off, a load-sharing system that scales small patches of the adhesives to large areas, and a nonlinear passive wrist that is stiff during manipulation yet compliant when overloaded. The device can gently grasp, manipulate and release flat or curved, uncooperative objects up to a meter in diameter. With JPL’s assistance, versions of the gripper have been tested successfully in different zero gravity environments, including the International Space Station. Next step is testing outside the ISS. So, it would seem the technology to address the space debris problem is just about ready, which is none too soon given the hundreds of new satellites planned for launch. Now we face the problem of implementing the cleanup, which might be even more challenging given the costs, shared responsibilities and security concerns.